I have had the privilege of being a cat owner since Daphne, a Tortoiseshell arrived on our doorstep in December 2006. Daphne arrived at a very difficult time in our lives, bringing us such joy and a much needed distraction. Daphne means the world to me, I therefore fully appreciate you have the same feelings, concerns and responsibilities for your furry companion. I offer very personal and professional pet sitting assistance with sincere customer service in mind - my standards are high and mirror what I expect and want for my own pet. I have a corporate work background 1980 to 2017, being based in London's West End, within a retail buying environment and in later years logistics, the last nine years of which, I had the opportunity to work full time from home. Redundancy finally gave me the chance to focus on my pet sitting venture. This is two fold, as my passion for animals has been lifelong and secondly, since the sudden, unexpected loss of my beloved husband Chris, just 56 years old in January 2014, my desire and determination to carry on his animal welfare legacy has been paramount. Chris was an exceptional, gifted mobile dog groomer, trading under the name 'Waggey Tails’. 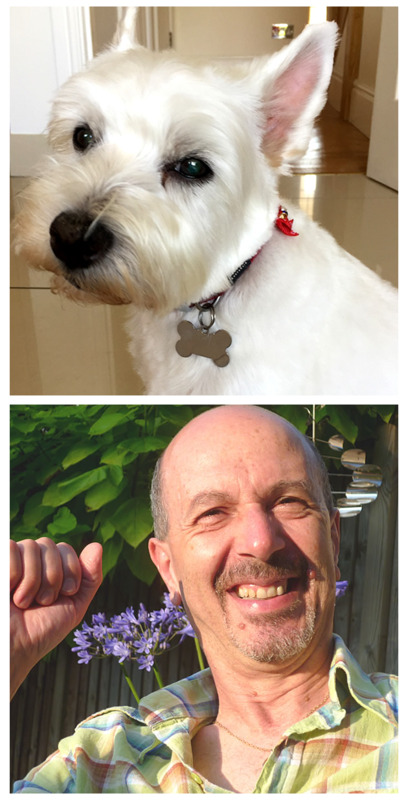 'Millie' the Highland Terrier featured on this website was with Chris when he became unwell. Millie therefore continues to hold a very special place in my affections. Following my loss, I volunteered at the Blue Cross Rehoming Centre, helping to socialise with newly arrived cats and kittens - a heart tugging but immensely rewarding experience which helped me come to terms with my life changing situation. 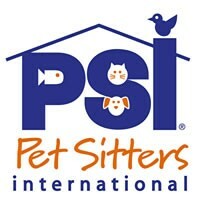 ‘Pet Sitters International (PSI) is the world's largest educational association for professional pet sitters. PSI is dedicated to educating professional pet sitters and promoting, supporting and recognizing excellence in pet sitting’. I am fully insured and DBS checked. References available upon request. To find out more information concerning my cat sitting, dog walking, or comfort visiting service, please email me via the contact page.